Piriformis syndrome is a condition that describes the entrapment and irritation of the sciatic nerve from the piriformis muscle. 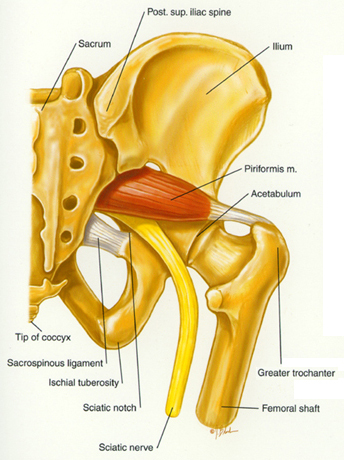 Repetitive movements and chronic, prolonged sitting can cause the piriformis muscle to become fibrotic and shortened resulting in the compression of the sciatic nerve. Piriformis syndrome is most commonly found in runners and cyclists.